Autumn is a time that’s often looked forward to by homeowners because energy costs are low. It’s cold enough that air conditioning isn’t necessary and warm enough that it’s not quite time to turn on the furnace. Fall is also a great time to prepare your furnace for winter and ensure that your heating system will run as efficiently as possible when it’s time to turn it on. In this post, we will look at three things you should do to get your heating system ready for the chilly winter months while also saving yourself money. One of the easiest things you can do to increase the efficiency of your system is to ensure your air filters are unobstructed. Filters that are covered with dirt and other debris greatly reduce the efficiency of your system by reducing airflow. Filters that are properly maintained and replaced when they’re clogged put much less stress on the heating system which saves money of energy and puts less strain on your furnace’s internal components – giving it a longer life. Homeowners who use a programmable thermostat properly can expect to see up to 15 percent savings on energy costs versus using a standard thermostat. A programmable thermostat allows the homeowner to lower temperatures when they’re away or asleep. If it’s been awhile since you have upgraded your furnace – ten years or more – you should consider upgrading to a newer model that’s more efficient. 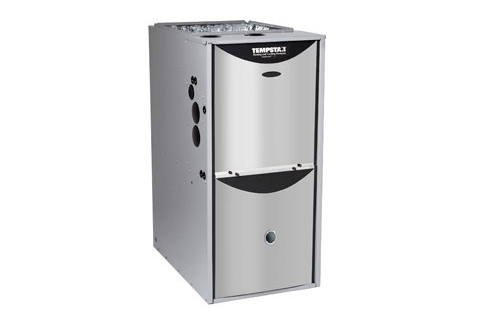 High efficiency Tempstar® furnaces from JP Heating & Air Conditioning have outstanding efficiency ratings and result in cost savings. In most cases, even with the cost of a new unit, you’ll be saving money in the long run.